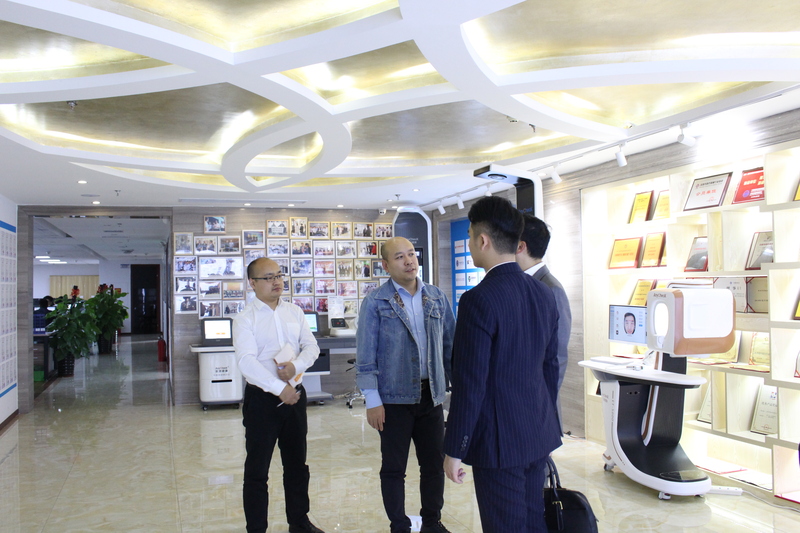 On April 2nd 2019, the delegation of BOC International Asia Limited, visited E-Techco Group (Qianhai AnyCheck) Shenzhen Headquarters to inspect the innovation and industrialization of smart medical technology and negotiate IPO cooperation. Mr. Zhang Guanjing, Chairman of E-Techco Group, Mr. Ge Xinke, CTO, Mr. Lin Guoxiong, CIO, Dr. Gao Weiming, Chief Engineer, Dr. Zhang Hongzhi, Deputy Chief Engineer, and Mr. Huo Jianxin, Finance Manager, attended the reception. BOC Investment Delegation visited our company exhibition hall to understand the development history, product research and development, market competitiveness and the development of various businesses in an all-round way. 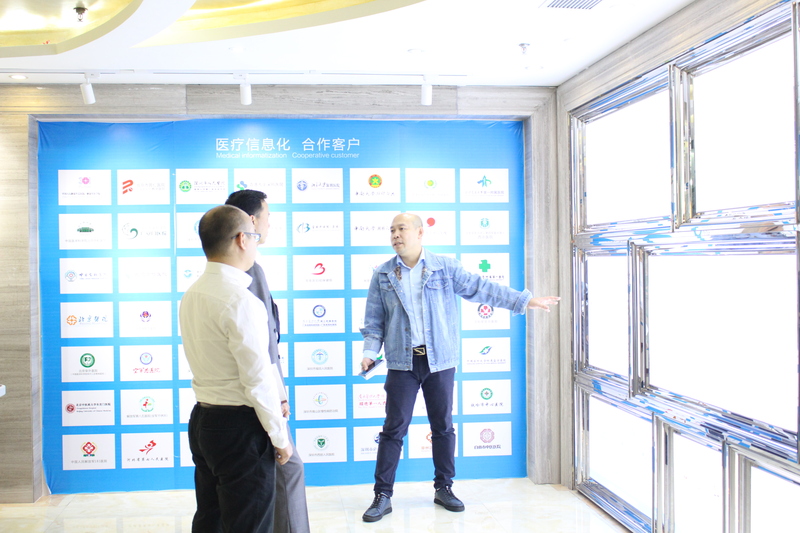 the delegation received the reception status of the smart medical industry and the future development trend. 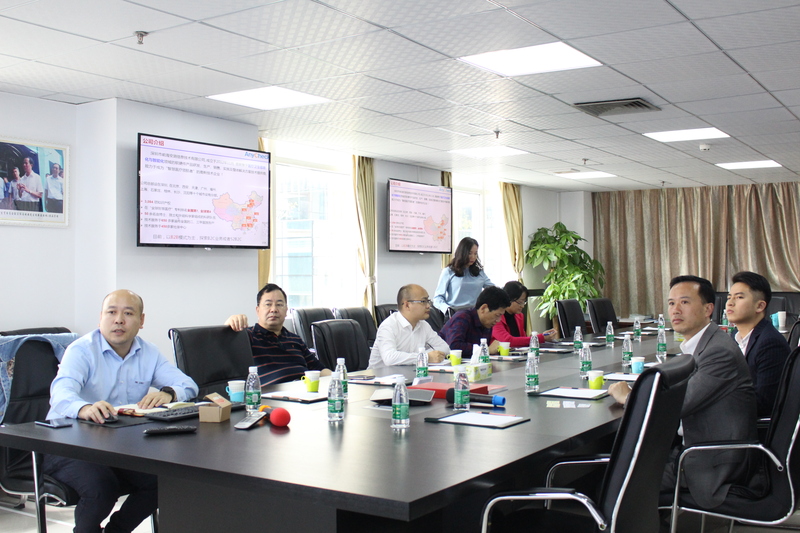 The team conducted in-depth exchanges and discussions. 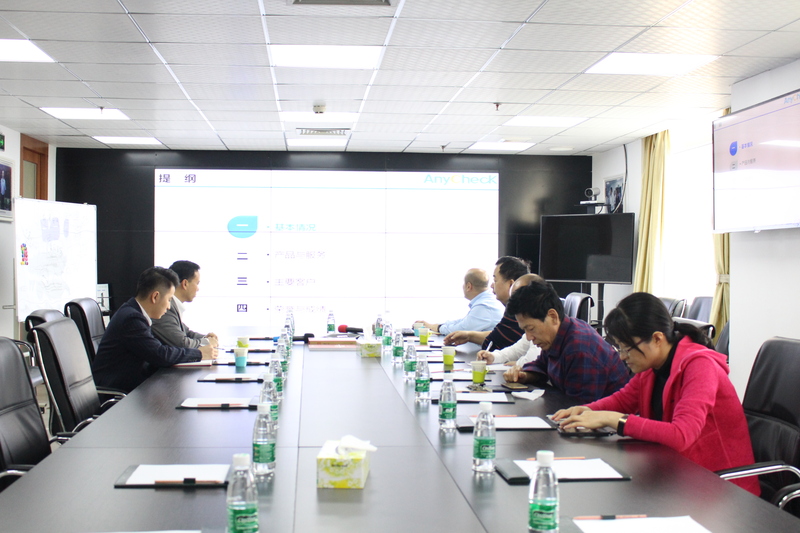 During the visit, Dr. Gao Weiming, the chief engineer, introduced the layout of the E-Techco Group's industrial chain and the achievements and honors of the company in terms of technological innovation, R&D investment and technology transformation. The delegation expressed his key core technological innovation capability. Appreciate and have a keen interest in the Group's various products in medical informationization, medical intelligence, and health information, and have a detailed understanding of product types and application scenarios. At the symposium, Chairman Zhang Guanjing welcomed the visit of the BOC Investment Delegation and briefly introduced the reform, transformation, overall development and strategic layout of E-Techco Group in recent years. The delegation expressed appreciation and affirmation for the development achievements of E-Techco Group in recent years. Later, the two sides conducted in-depth discussions on matters such as project construction and financing mode. Both parties expressed the need to further strengthen communication and exchange, carry out strategic cooperation and continue to innovate. Investing in the "AI + Health + Medical + Elderly Care" medical field, focusing on improving the international competitiveness of advanced smart healthcare, and making greater contributions to achieving high quality development.